The Masonite Plantation Wood Louver bifold ventilates closets and enhances fresh air flow between rooms. The bifold is hand-assembled and features over-sized 2-1/2 inch fixed plantation style louvres. And best of all, the unit is supplied professionally finished in white so you don't have to worry about painting. For interior use only. This Masonite Clear Pine Full Louver bifold design allows maximum air circulation, helping to eliminate humidity buildup while effectively keeping closet contents from view. Lincoln Park 30-inch x 80-inch Righthand Prehung Interior Door Enjoy the beauty of wood door authenticity with the benefits of composite door construction. 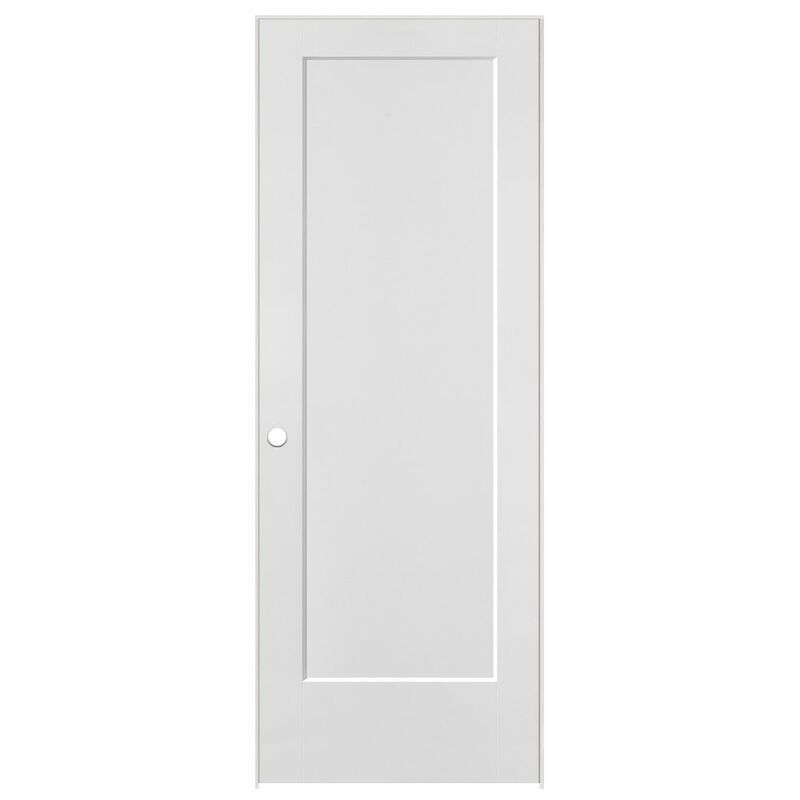 Both innovative and stylish, the molded panel Masonite Heritage Series Lincoln Park Primed 1-Panel Hollow Core Composite Interior Door is an elegantly detailed design. The smooth surface is perfect for painting and decorating to easily complement your decor. Select designs offered in coordinating Bi-fold and factory prehung single or double prehung units.